Welcome to our online home. 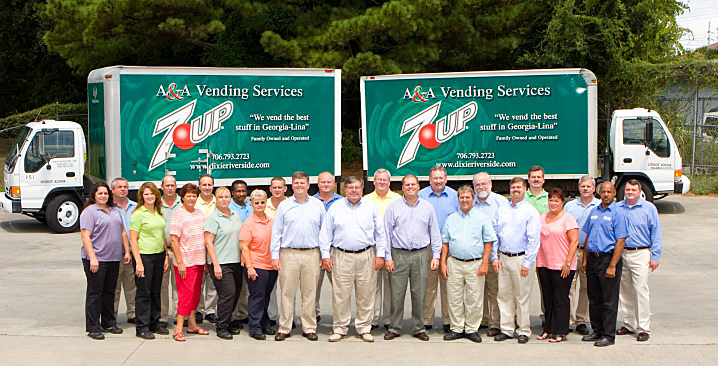 We are an Augusta, Georgia based, family owned and operated, bottling and full line vending company servicing the customers in the surrounding counties of Georgia and South Carolina for almost 75 years. If you are one of those customers, we want to thank you for your business and for helping us grow our company over the past 7 decades. 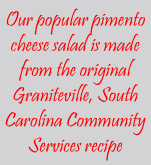 Our business traces its origins to 1935 when it was founded as a beer company owned by the Brittingham family, distributing Pabst Blue Ribbon, as Dixie Beer of Augusta. In 1980 Ed Perry, the General Manager of Pepsi in Augusta, joined the team as President and incorporated soft drinks into the distribution business. 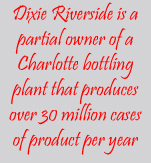 In 1982 we merged with the Schlitz distributor, Riverside Distributing owned by the Casey and Phillips families and became Dixie Riverside, Inc. We sold all of our beer holdings in 2000 and have been dedicated to the soft drink and food service business ever since. We believe the success we have enjoyed throughout our history is built on a foundation of closely held core principles that have guided our behavior. People make the difference and we have always tried to hire the finest people and treat them the way we would want to be treated. We believe this results in a team of associates that cares about their jobs and their customers. Our customers are the center of our attention. Everything we do is measured against the primary reference of our customers' satisfaction. We are all blessed to live in this country and feel especially thankful for sharing this portion of Georgia and South Carolina with the fine people we call neighbors. We express our gratitude through giving and participating in the many worthwhile organizations and activities that serve our community. Please take your time and explore the rest of our website. We appreciate you dropping by.